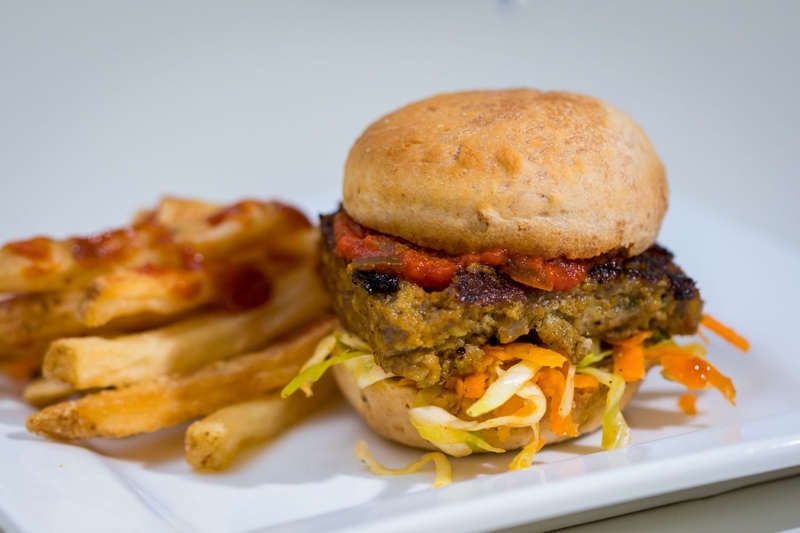 Madras Meatloaf Slider featuring mushroom blended burger, one of over 200 new Plant-Based and Plant-Forward recipes available across hundreds of university, healthcare and corporate services accounts nationwide. GAITHERSBURG, Md., October 3, 2018 /3BL Media/ — According to a Nielsen global survey, 39% of American consumers are working to incorporate more plant-based foods in their diets. Sodexo, a food services and facilities management company committed to improving Quality of Life, launched its new plant-based menus in hundreds of accounts across its Universities, Healthcare, and Corporate Services segments. The new menus featuring 200 plant-based recipes were created in partnership with the Humane Society of the United States (HSUS) and the World Resource Institute-Better Buying Lab (WRI), to meet consumer demand for plant-based options and reduce the environmental impact of food offerings. Food production accounts for a quarter of all greenhouse gas emissions, and helping people increase the share of plant-based foods in their diets is a critical step in reducing those emissions. "By increasing the proportion of plants in a dish, we help address some of the world’s most pressing challenges,” shared John Wright, senior vice president, global food platform, Sodexo. “This approach aligns with the sustainability and wellness commitments embedded in our Love Of Food platform." 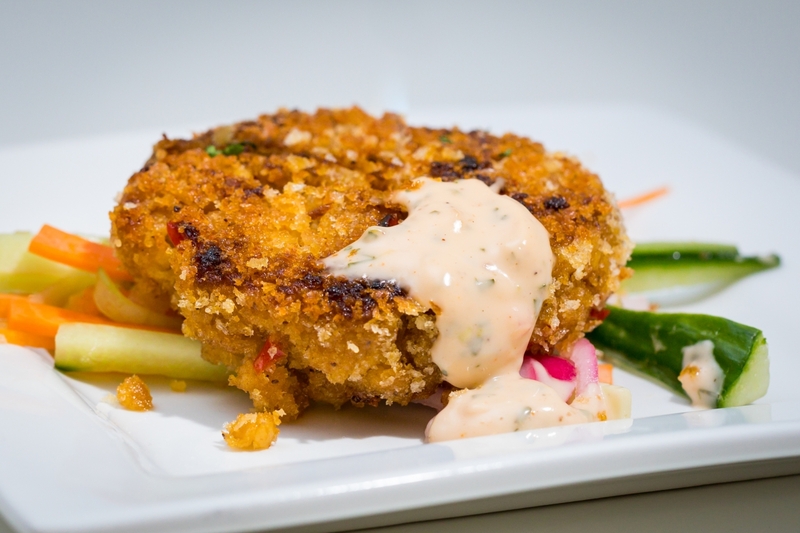 Talented chefs from HSUS and Sodexo’s culinary team worked together to develop, test and perfect the 200 plant-based recipes that appeal to not only flexitarians, vegetarians and vegans, but also general consumers. In one of many examples, the chefs created a Mexican-themed menu featuring dishes such as jackfruit and avocado tortas, chipotle quinoa burrito bowls, and garlic-roasted cauliflower burritos. “We are especially proud to expand this program with Sodexo. For more than a dozen years, we have worked closely with Sodexo to improve the welfare of animals and with this latest step, the company has once again shown its commitment,” said Ken Botts, Humane Society of the United States, Director Food and Nutrition-Food Service. 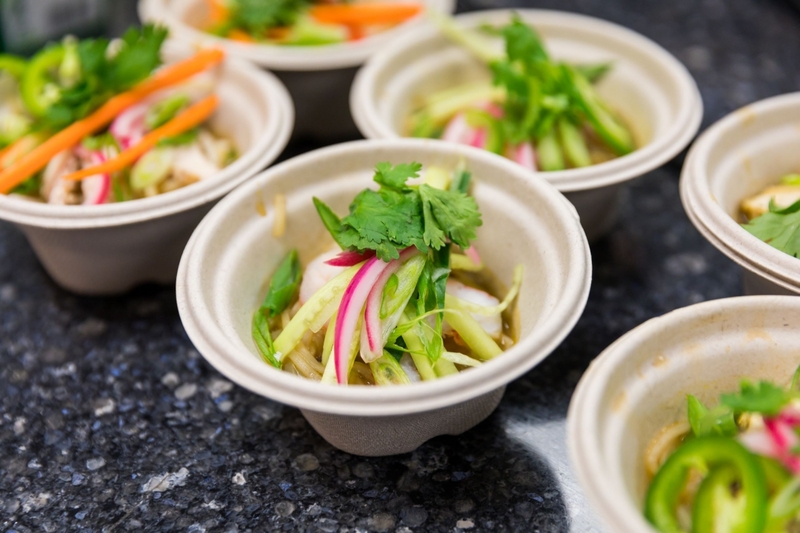 The new plant-based menu items are one example of Sodexo’s “Love Of Food,” a consumer-centric approach that embraces fantastic food, healthy and balanced choices, and culinary innovation among its team of global chefs.